IPSWICH A CAPPELLA HARMONY CLUB INC. 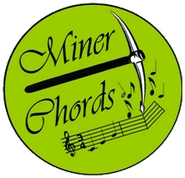 The "Miner Chords" enjoy an evening of singing practice every Wednesday at the Old Courthouse in Ipswich. We are keen to share this beautiful style of music with as many men and women as possible. We are now inviting women to join us in the chorus. Apart from enjoyable evenings, we also sing at all kinds of functions and are invited at clubs and associations. You are welcome at any of our rehearsals. An RSS feed (or news feed) is a means by which you can stay informed about what's going on at Miner Chords without having to regularly visit the website.